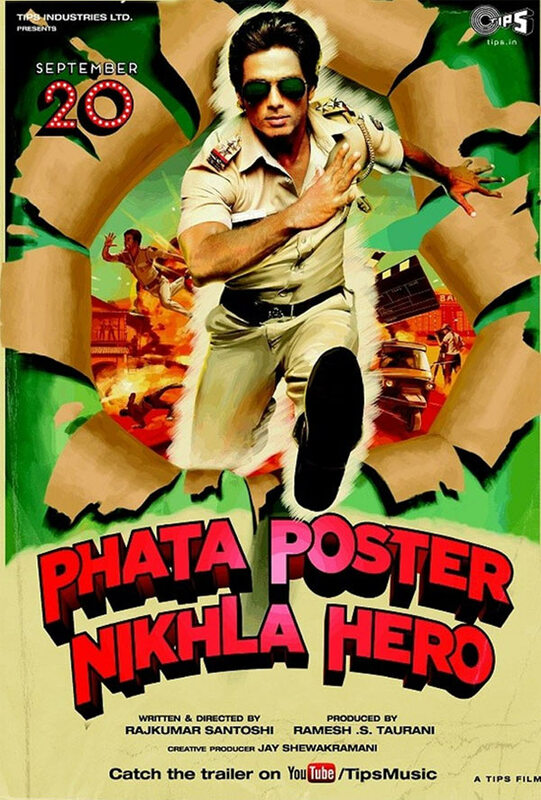 Rediff.com » Movies » Bollywood LOVES its 'Hero'! From Hero to Heropanti, there have been many 'Hero's in Bollywood! There are certain words that Bollywood loves playing with, and uses them often in movie titles. Hero is one of them. This Friday, we see it back in the theatres with Heropanti. Here's looking at 10 movies, with 'Hero' in its title. When producer Sajid Nadiadwala and director Sabbir Khan were looking at a dhamakedaar title for Tiger Shroff's launch, the word 'Hero' obviously had to be there. It was a unanimous decision to call the film Heropanti once the film's script was locked. 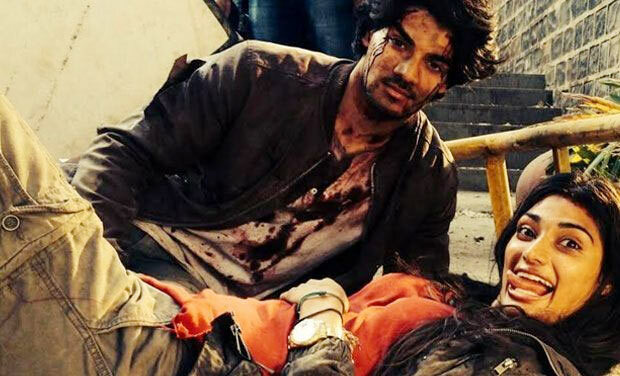 The film Friday, May 23, and all eyes are on Tiger and his leading lady Kriti Sanon. 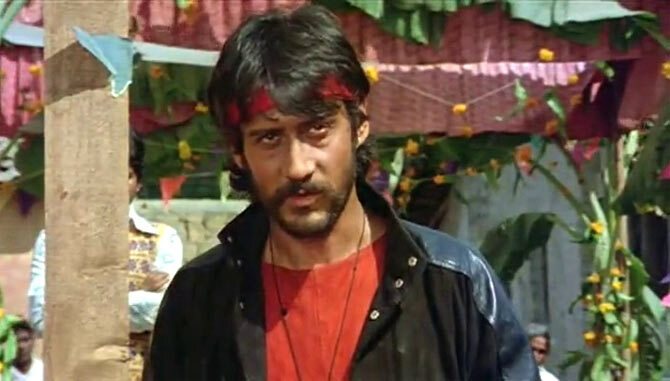 Subhash Ghai launched Jackie Shroff with Hero, way back in 1983. The film -- starring Meenakshi Sheshadri, Sanjeev Kumar, Shammi Kapoor, Amrish Puri and Shakti Kapoor -- was a smash hit at the box office and gave Bollywood another major hero. Many years ago, Naseeruddin Shah and director Ketan Mehta tried a commercial outing with Hero Hiralal. The film had Shah play an auto rickshaw driver, who falls in love with a film actress, played by Shashi Kapoor's daughter Sanjana. Hero Hiralal failed at the box office even though its title song was a hit. 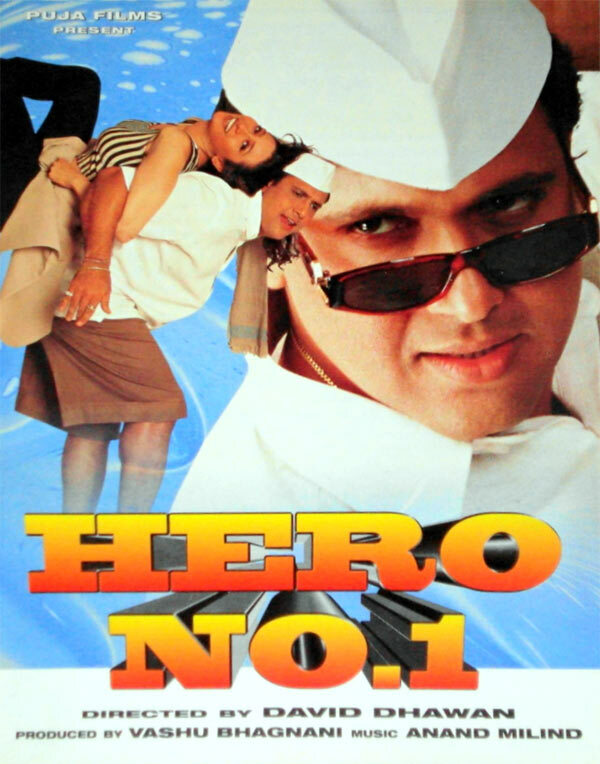 David Dhawan roped in Govinda, who was literally the Hero No 1 in those days, in his film Hero No 1. With Karisma Kapoor, Shakti Kapoor and Kadar Khan joining the show, this comic family entertainer had a hint of Rajesh Khanna's Bawarchi and was a huge success. Box office collections: Rs 13 crores. Arshad Warsi wasn't as successful in his Hero movie. Hero Hindustani, co-starring Namrata Shirodkar, did not quite bring in the audiences even though the title song was quite popular and did not work across Hindustan. Box office collections: Rs 2 crores. The Hero that did work across Hindustan was The Hero: Love Story of a Spy. Reuniting Sunny Deol and director Anil Sharma after Gadar - Ek Prem Katha, The Hero: Love Story Of A Spy was a slick action affair that also marked Priyanka Chopra's debut. But even though the film saw a good opening, huge expectations, costs and selling price resulted in The Hero earning an average verdict at the box office. Box office collections: Rs 23 crores. 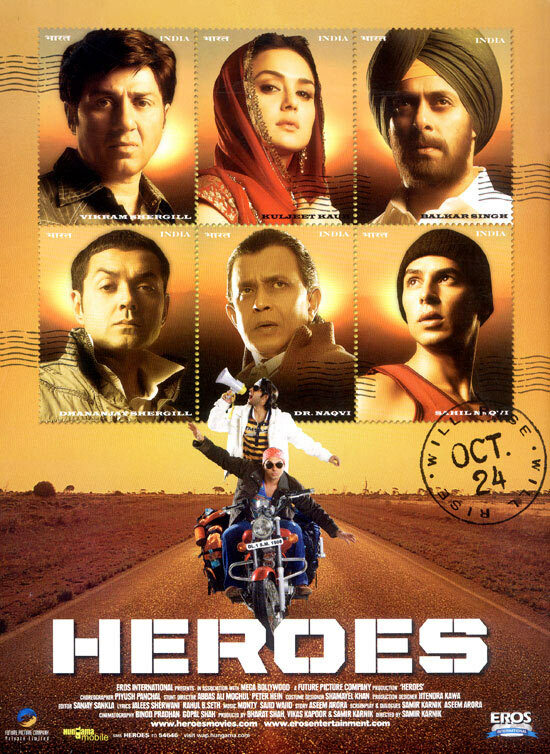 When Sunny Deol joined hands with Salman Khan in Heroes, one expected an entertaining movie. As it turned out though, they featured in different segments of this multi-story affair that had its moments, though very far and few. The film just managed to cover its costs. When Rajkumar Santoshi decided to make a comic outing with Shahid Kapoor, expectations were quite high. The film turned out to be a mixed affair, which just a few laughs. It did earn some moolah but fared below expectations. David Dhawan took inspiration from Hero once again, and directed his son Varun Dhawan in Main Tera Hero. And he wasn't disappointed. After a decent start, the film went consolidates its place at the box office and was a good success. It is expected that Nikhil Advani's Hero, which is remake of Subhash Ghai-Jackie Shroff's hit, will be released later this year. Aditya Pancholi's son Sooraj and Suniel Shetty's daughter Athiya will make their debuts with the film, and Salman Khan will lend his support as well. Sonakshi, Sunny Leone, Priyanka: Who has the BEST pout? VOTE!